Dozens of Christian families have fled Egypt’s North Sinai following increased attacks and threats by ISIS-affiliated militants in the region. 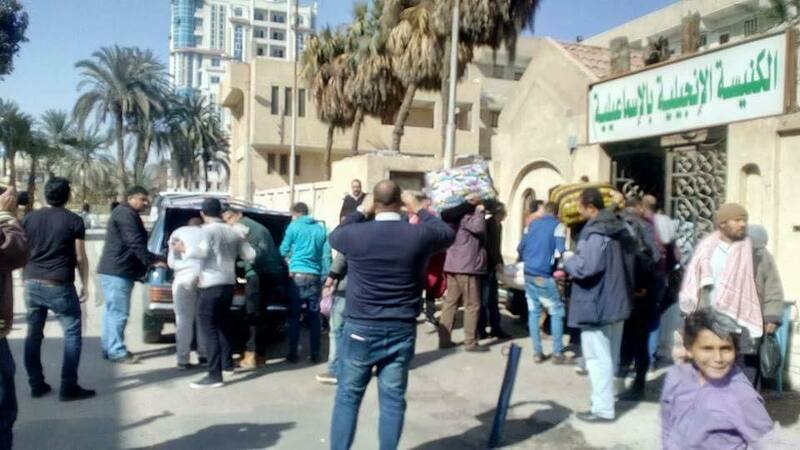 According to Church offiicals, at least 100 families fled El-Arish in North Sinai and have taken refuge in the Suez Canal city of Ismailia. Meanwhile, Reuters reports that 200 Coptic Christian students studying in El-Arish have also fled. The departure of dozens of families comes after seven Coptic Christians were killed this month by ISIS-affiliated militants. In one of the latest incidents, a 35-year-old man was burned alive after his father was shot dead by militants. The latest attack came after ISIS released a video promising more attacks on Christians and threatening to cleanse Egypt’s population of its Christian minority. The Coptic Orthodox Church has condemned the rising terrorism in North Sinai and has urged the government to protect Coptic Christians in the region. Meanwhile, Egypt’s President Abdel Fattah Al-Sisi ordered the Egyptian military and police forces to “completely eradicate terrorism” in the North Sinai and to protect all civilians in the area. It is unclear exactly how many Coptic Christians live in El-Arish and the wider North Sinai region. Coptic Christians make up approximately 10 percent of Egypt’s 90 million population. North Sinai has been caught in a crossfire between army and militants since 2013 following the ouster of former Islamist President Mohammed Morsi. The majority of attacks have been carried out by Ansar Bait Al-Maqdis (or Wilayat Sinai), a terrorist organization that has officially pledged allegiance to ISIS.